Under the United States Federal Tax Code, any debt that is forgiven is treated as debt discharge income . As such, short sales with a deficiency balance could be counted as income on the difference between the mortgage balance and the sale price. 1: In this example, tax on $50,000 of income can rack up to thousands of dollars. 2: An extra $50,000 of income could raise the homeowner to an entirely new tax bracket. The Mortgage Forgiveness Debt Relief Act, however, forgives the difference between the debt owed and the sale price, up to 2 million dollars on a primary residence. The Act-which passed in 2007- was scheduled to expire at the end of last year, but Congress did some last minute maneuvering to extend it out another year, due to the still struggling housing market. Homeowners choosing to short sale can sometimes face large drops in their credit score. According to CNN/MONEY, shorts sales have tripled over the last 3 years. In some areas of the country, short sales make up almost half of the area home sales. With this extension, homeowners who are underwater can breathe a little easier for a few more months, knowing this option is still in play. 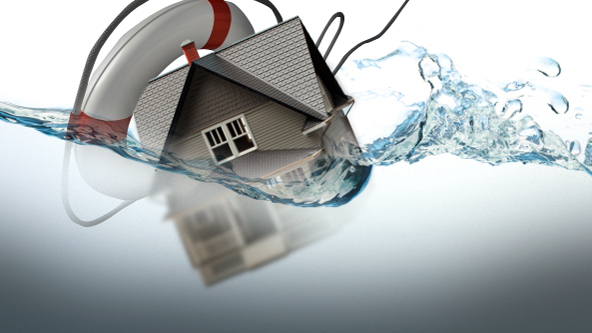 Millions of homeowners are underwater on their mortgages, owing more than their homes are worth. This year HARP (Home Affordable Refinance Program) has been re-vamped to allow more homeowners to refinance their mortgages. This is great news, as Corelogic estimates that 11 million homeowners are underwater and could benefit from assistance. The new changes to HARP will allow the homeowner to refinance regardless of how much their home has dropped in value. This is GREAT news for homeowners who have kept up with their payments! These homeowners can move forward in the program right away. Remember, this program is available through December 2013. Even if a homeowner currently has some recent late payments, if they can get and stay current, they can eventually take advantage of HARP to refinance their home. Fees have been reduced for HARP loans, and in most cases, an appraisal is not needed. Lenders can utilize Automated Valuation Models (AVM’s) to instantly determine the home’s value. These new changes are expected to help millions of homeowners refinance to a more manageable, stable loan, and allow them to stay in their homes and avoid foreclosure. ~~Susan McCullah is the Product Development Director for Data Facts, a 22 year old Memphis-based company that provides mortgage product and banking solutions to lenders nationwide. Check our our website for a complete explanation of our services.